The best-selling author of Subliminal and The Drunkard’s Walk teaches you how to tap into the hidden power of your brain. In this startling and provocative look at how the human mind deals with change, Leonard Mlodinow shows us to unleash the natural abilities we all possess so we can thrive in dynamic and troubled times. Truly original minds capitalize when everyone else struggles. And most of us assume that these abilities are innate, reserved for a select few. 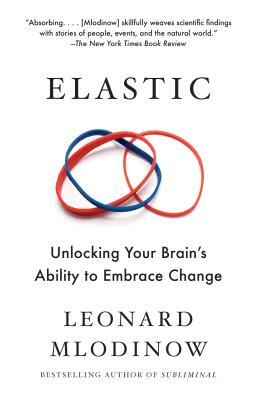 But Mlodinow reveals that we all possess them, that we all have encoded in our brains a skill he terms elastic thinking—and he guides us in how to harness it. Drawing on groundbreaking research, Mlodinow outlines how we can learn to let go of comfortable ideas and become accustomed to ambiguity and contradiction; how we can rise above conventional mindsets and reframe the questions we ask; and how we can improve our ability to solve problems and generate new ideas—critical skills for achieving professional and personal success in our quickly morphing world.